A couple of months ago, I noticed a lump "down there". It was a particularly stressful month and my period was delayed for a few weeks so I thought I'd wait it out before panicking. Maybe it was related to my menstrual cycle since there were a couple of times when a pimple showed up a week or two before my cycle only to disappear on its own afterwards. This wasn't a pimple though. It was larger and it didn't go away even after my super strong and very much delayed period came and went. That's when I decided it was time to go visit a doctor. So I made an appointment for a check up with an OB GYN in Cardinal. That was quite a relief. She prescribed me some antibiotics (a pretty strong one to battle staph infections) and sent me home. I took my medication religiously on time with all dietary requirements because I really really wanted this lump to go away without the need for an operation. 5 days came and went. I was done with my antibiotics but my cyst was still there and looking angrier than ever. I was scared. It appeared larger and redder. I consulted some friends who had cysts before and they all had operations. I prepared my money and made the dreaded call to the doctors office. She was away on vacation and won't be back for another week! THAT WAS MY BLESSING IN DISGUISE. You see, I've been using my own feminine wash for a year now. I had it made when they stopped selling this French brand I used to buy before. I loved this brand cause it really helped sooth my diaper rash when I'm on my period but since they pulled out from the Philippines, I was left with no alternatives. You know what they say about necessity being the mother of invention. That's exactly what happened here. 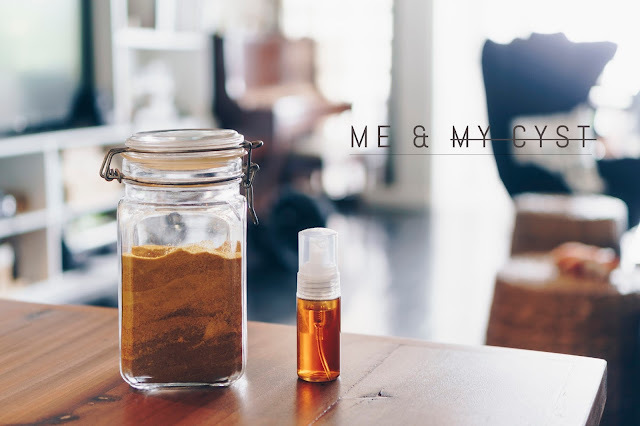 I love my handcrafted all natural wash because it immediately gets rid of diaper rash plus it really really soothes hemorrhoids and keeps it under control. I don't bleed anymore and it stopped hurting. This was an unfortunate condition I developed since childbirth and have always been embarrassed to discuss but for the sake of sharing and (hopefully) helping, I'm telling you now. If you suffer from the same situation you know how embarrassing it can get when you bleed and stain your clothes or a chair in public. It's like getting caught with a strong period without a pad but worse. So anyway, that doesn't happen to me anymore. So yay! As much as I love this wash, I stopped using it when I started taking antibiotics because I wanted to check if any of the products I was using helped cause or aggravate the situation. It wasn't my wash, looking back, I believe that the reason why my cyst grew was because I stopped using my wash especially after finding out what I did upon googling cures. To my surprise, a popular home remedy for cysts is WITCH HAZEL. Which is what my wash is predominantly made of! So I started using it again. Turmeric tea 2-3x a day after meals. 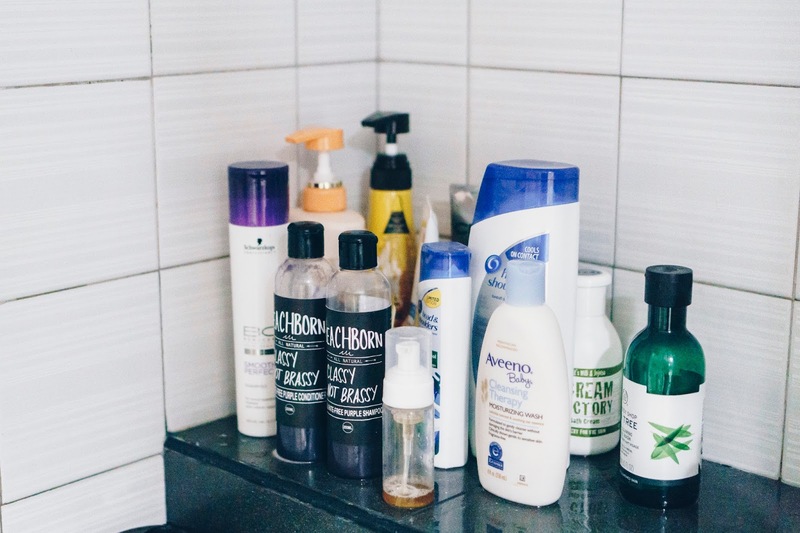 After bath, apply PURE witch hazel extract on a cotton pad which I would place on my cyst like a bandage and leave it on til my skin absorbs it (less than 30minutes). ***emphasis on PURE WITCH HAZEL extract which is amber in color and NOT the clear one you see in most retail establishments, those have additives hence the lack in color. After a couple days, I noticed my cyst getting smaller so I just continued my home treatment and PRAYED REALLY HARD. Guess what, after a couple weeks, it was gone completely! I'm not telling you to do the same thing. I HIGHLY RECOMMEND visiting your doctor if you notice something abnormal with your body. I am not saying that this is an end all and cure all for cysts or other similar conditions. I am simply sharing my story because it worked on me and I am super happy with the results. So so happy that after a year, I've decided that it's selfish to keep this to myself. This is not a hard sell guys. If you've noticed, I never really posted a review for any of BEACHBORN's other products because it might be taken out of context but this experience, I simply cannot stop from sharing because I know and understand how scary it is to find lumps anywhere in the body. If I found a post like this during the time I had it, it would have provided me with great relief and I just wish the same for you. If I loved this before, I love it even more now. I use it not just as a feminine wash but also as my daily facial wash. I never get pimples down there or on my face anymore even when I'm about to get my period. Diaper rash and bleeding from hemorrhoids are also no longer an issue for me. 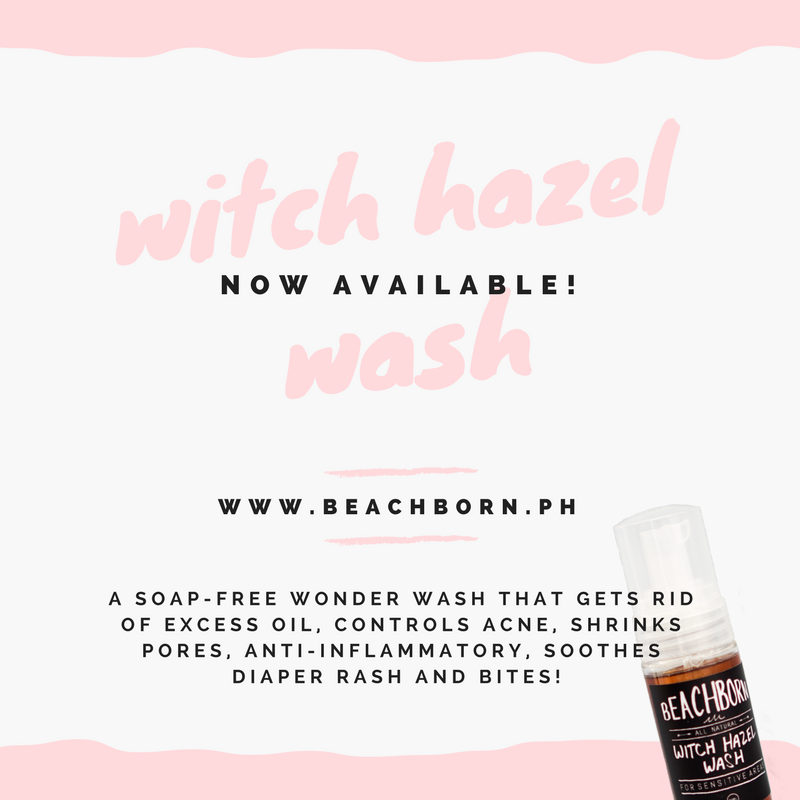 GET FREE SHIPPING FOR BEACHBORN's WITCH HAZEL WASH HERE! I'm so happy it's gone now! ♥ Will try this when my current feminine wash runs out! I get rashes from a lot of other brands aside from the one I'm currently using, eh.